One of the prominent new-age diamond settings, tension settings has been prevalent for three decades. It is one of the most dramatic settings, yet one that can go wrong because of many reasons. Tension set diamond engagement rings look breathtaking, but a small error in its make can lead to the loss of your precious diamond. Hence, assessing the total good and bad about tension settings for diamond engagement rings. 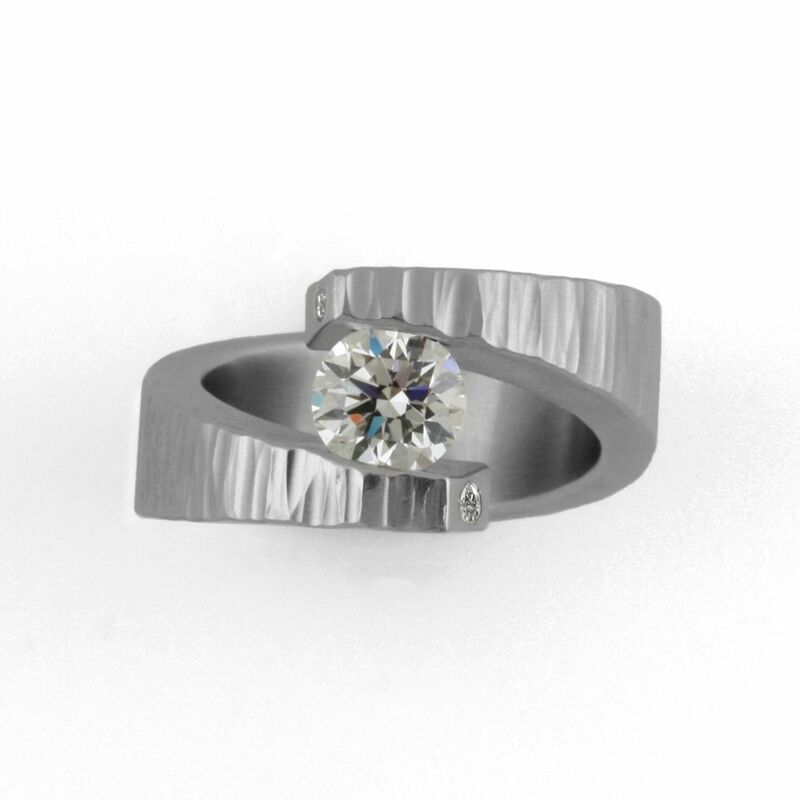 When a diamond or stone is set in mid-air using the tension set by the metal on its either sides creates a tension set ring. Introduced in the late 90s, tension settings have been a hot trend since ever. In tension setting, the diamond on your engagement ring is placed without any support beneath or above. Prongs are absent and held together by the invisible tensile force. The floating look of the ring makes it an instant and dramatic choice for trendy brides and grooms! Tension setting is appraised by many gemologists as the futuristic design. Looking akin to eyes and varied esoteric symbols, tension settings are making a huge comeback since 2017. In 2018, tension setting is unique and special. 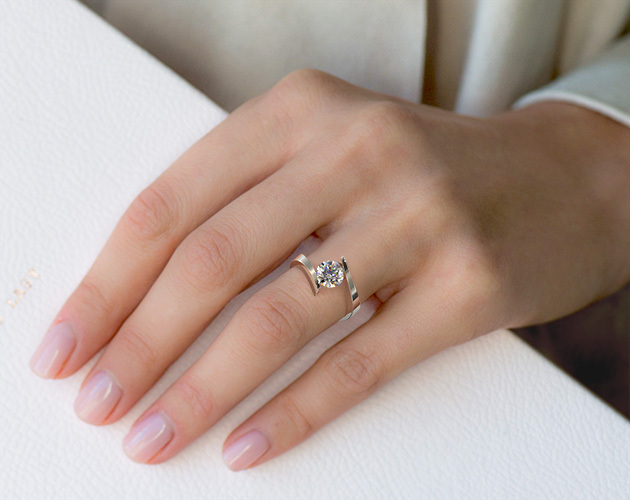 If you’re looking for an engagement ring with a gorgeous setting, nothing beats the tension! Explore the complete pros and cons of tension setting for diamond engagement rings below. Why are tension settings for engagement rings awesome? What are the facts that make tension setting great for diamond rings? Can I use tension setting for my 10 carat diamond? How can I make my diamond look great on a tension setting? Once upon a time, bezel and prong settings were the only options to hold any stone firmly in an engagement ring. Today, we have amazing technology to create diamond engagement rings set merely with high pressure to hold together as in the thin air. The look of the final piece is so stunning that it will attract attention wherever you go! Tension settings give complete exposure to your stone. It is not hidden from behind or sides as the tension setting makes it look like air is holding it. This way your stone can be assessed and remarked from all the angles and sides. The brilliance of the diamond is often detected due to the light it passes. As tension set diamonds are more exposed to light than other settings of diamonds, you can see more brilliance and play of fire too. Hence, tension set stones look gorgeous than it is! You can’t get a tension set diamond ring in a readymade setting. 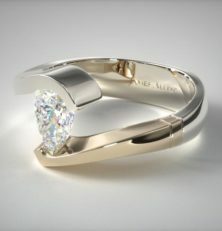 It must be made for your fingers and hence, is the perfect choice for custom diamond engagement rings. Most diamond ring settings need regular maintenance throughout the wear. When you choose a diamond ring in a tension setting, you choose one size forever. This way, there is zero maintenance charges too! Why not choose tension setting for your engagement ring? Can my diamond fall if I use tension setting for the ring? What are the hidden drawbacks of selecting tension setting for diamond engagement rings? As tensions set diamond rings are made in your finger size, there are very fewer options to resize the ring. You cannot just send it to the jeweler because you beefed up the last few months when you choose a diamond engagement ring with tension setting. When you choose diamonds with tension settings, you must choose premium diamonds. Low quality diamonds will not look great with the setting. A diamond of lower clarity might look too cloudy and non-diamond like! You cannot just imagine a diamond and order its tension set version. 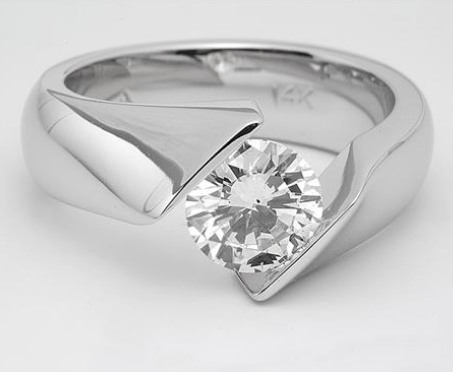 As the pressure on tension setting is huge, stones are recommended of sizes 0.10 to 8.0 carats. Hence, no matter how big your diamond is, tension set engagement ring diamonds must be lower than eight carats! Tension setting can make your heart leap. Simply because, it can fall out on cheap imitation or badly set diamonds with tensions settings. Tension settings are incredible as well as risky. Small glitches in the pressure applied and several other manufacturing parameters can chip or break it sooner than later. Choosing the right setting for your diamond engagement ring is crucial. We feel you. That’s why we want to help you out with the right settings. Ask us any doubts about the tension setting below. NOW!